Director IPSTC Brigadier General Kabage addresses the MTT Course participants the day before the closing day. August 2013 saw the realization of long cherished dreams. These dreams had been held preciously by both the leadership and staff of the International Peace Support Training Centre (IPSTC). Despite IPSTC having been training internationally for many years, the Director IPSTC, Brigadier General Kabage was not oblivious of the fog and uncertainty that came to conducting training outside the comfort zone of his institution and country. As Major Kevin said afterwards, “Best of luck and thank you helping finish something I started (MTTs)”. The director was keen in monitoring the day to day activities of the Training at Addis Ababa. The director, aware of the great milestone covered, travelled to the location of the Mobile Training Team (MTT) the day before the closing of the course. While there, he made personal visits to the training and other stake holders involved in the organization of the MTT. One of the main meetings he attended was with the sponsors. This was done at the Canadian Ambassondour’s residence, where the course participants and facilitators had been invited for dinner. The director also met Various stake holders at the African Union (AU). At that time, the AU was preparing for Exercise Amani Africa II, and were most appreciative that IPSTC had empowered their staff by the provision of the Exercise Planning course. After the closing of the course, the director officially launched a website https://mobiletrainingteams.wordpress.com. In his address as he launched it, he stated, “The Mobile Training Teams has been a baby, but now we have just witnessed the first steps of our baby. What a joy” This was followed by cutting of the MTT cake. Director Ipstc Brigadier General Kabage cuts the maiden MTT cake. Looking on is Brigadier General Mwalafi of South Africa. In line with IPSTC mission, IPSTC conducted its Maiden Mobile Training at Addis Ababa, Ethiopia. Having MTTs has given IPSTC an increased capacity to deliver training beyond its physical confines. The African Union (henceforth AU) partnered with IPSTC in the delivery of the Exercise Planning Process Course (henceforth EPPC), at Addis Ababa, Ethiopia. 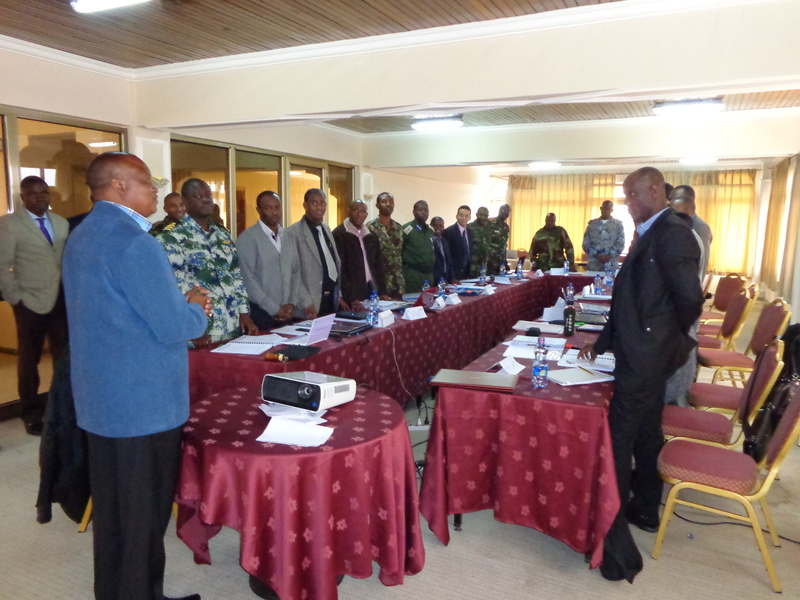 This course was meant to build capacity of the AU Personnel in preparation for the upcoming EXERCISE AMANI AFRICA II, which was scheduled to take place in Lesotho in October 2014. German Society for International Cooperation (GIZ) and Directorate of Military Training and Cooperation (DMTC), Canada, were the sponsors of the training. IPSTC took a lead role in the course planning, administration and execution. The EPPC MTT at Addis was a great milestone for IPSTC. 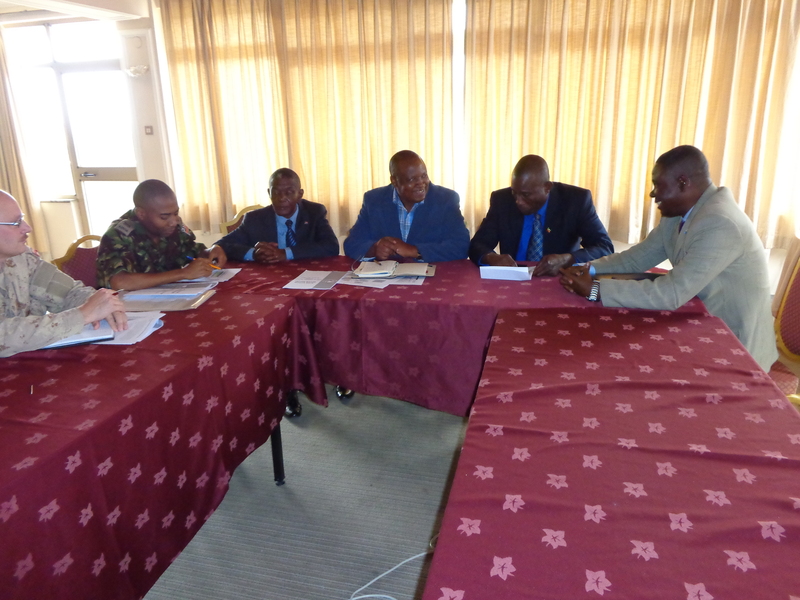 It provided the much required “test through the fire” for the first Mobile Training Team by the International Peace Support Training Centre, Kenya. 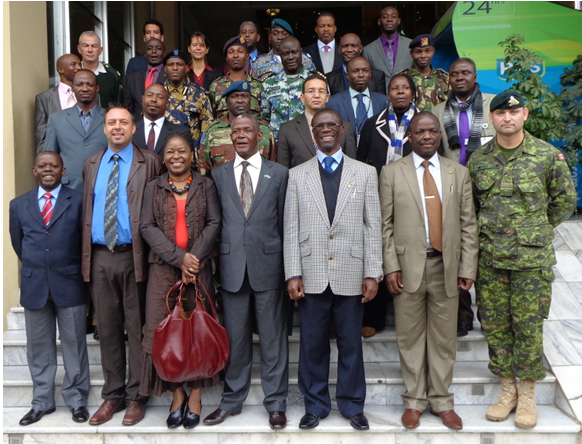 IPSTC wishes to thank their Partners the African Union (AU), German Society for International Cooperation (GIZ) and Directorate of Military Training and Cooperation (DMTC), Canada for their invaluable support.